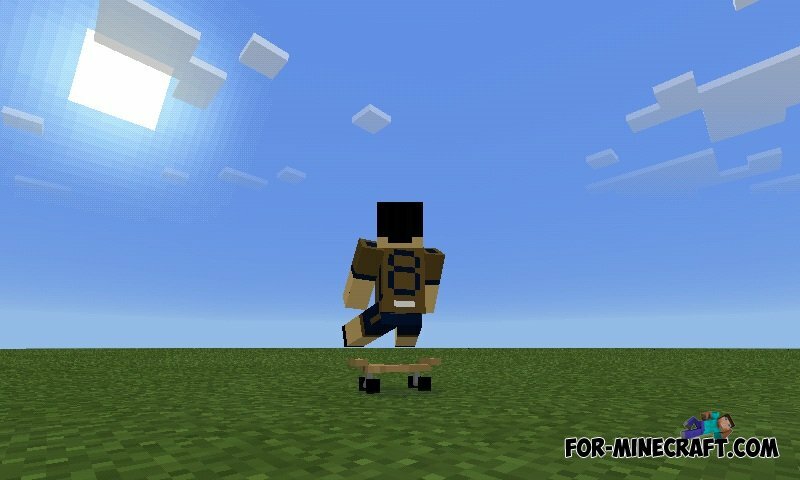 Skateboard mod adds to the world of Minecraft Pocket Edition, two new vehicles on which you can ride. The first is the skate, and the second is a bicycle. These two vehicles are very comfortable and popular among teenagers. As you know the bike is a step to a healthy lifestyle. How to use the skate and bike? Make a skate or bicycle, take it in your hand and hit them on the ground to sit on a bike or to stand on skate. The controls are very simple, such as a character. To get off the bike or skateboard, click on [leave]. 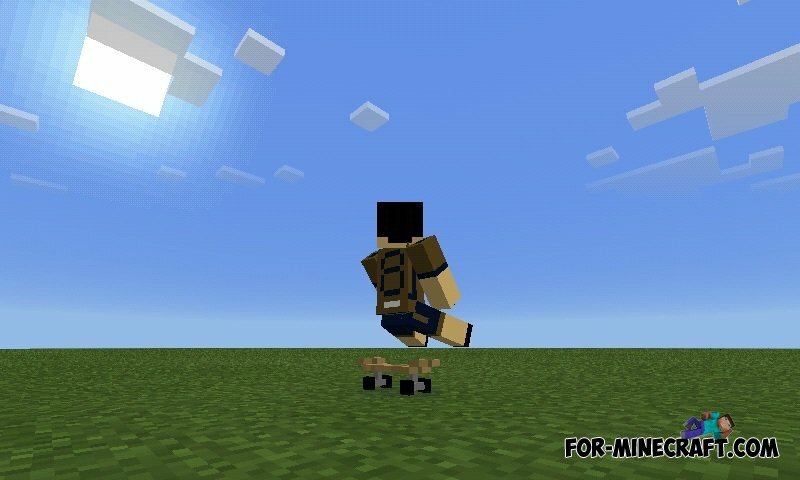 Arcane Rings mod for Minecraft PE 0.10.5The mod adds to the game 5 magic rings. If you wear the ring you are special abilities, such as flight or invisibility. How to make a ring? ????? ????????? ???????? ?????? 4 ????? ????? ?????? ? ?????????? ???? ????? ????? ?? ???? ???? 6 ????? ???? ?????? 2014 ????? ?? ????????? ??????? 9 ????? ?? ?????????? ????? ?????? ? ???? ????? ???????? ??????? ??? ?????? 2005 ????? ?? ??????? ??????? ????? ???????? ???? ?????? 4 ????? ?????? ??????? ????? ????? ???????? ? ??? ????? ????? ???????? ???? ????? ??????? ???? ????? ???? ? ??????? ? ?????????? ????? ?? ??????? ? ???????????? ??? 5440 ????? ??? ?????? ???? ?????? ????? ????? ?????? ?